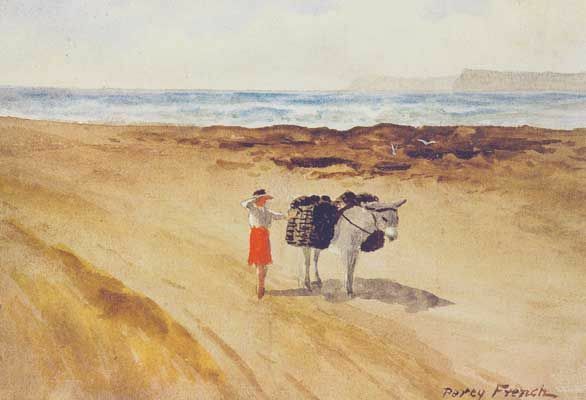 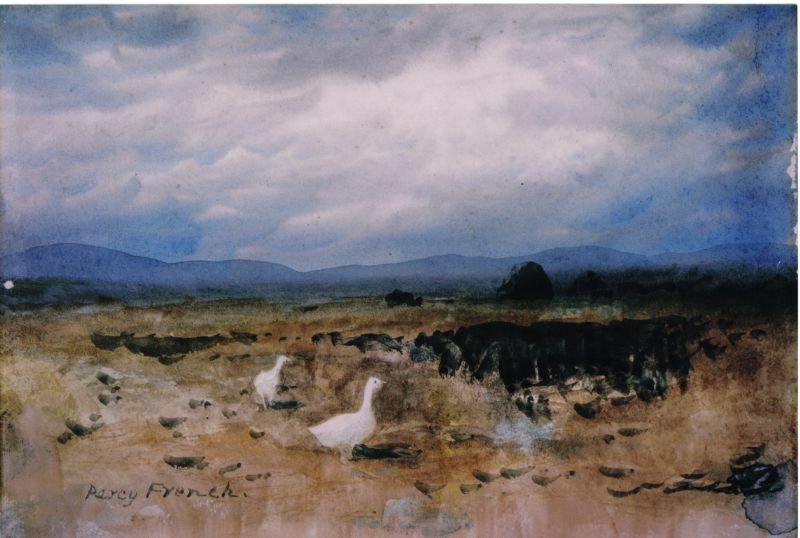 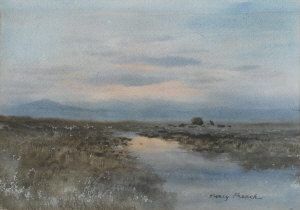 Born at Cloonyquin, County Roscommon, in 1854, Percy French was a renaissance man in that not only was he a noted entertainer and musician but also an accomplished water-colourist and writer. 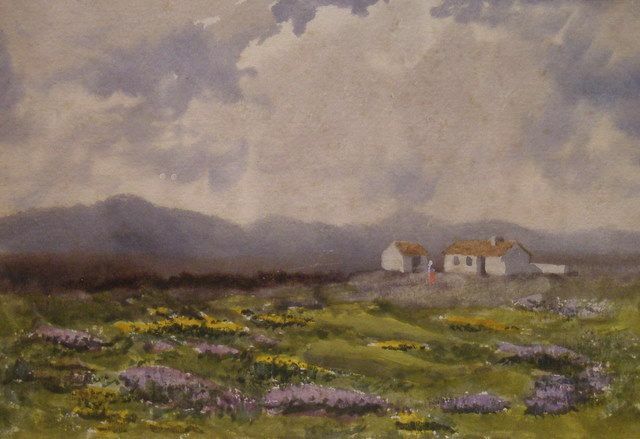 Educated at Trinity College in the Engineering faculty, he was for a short while a surveyor in County Cavan. 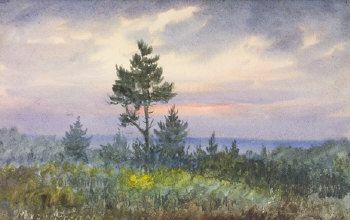 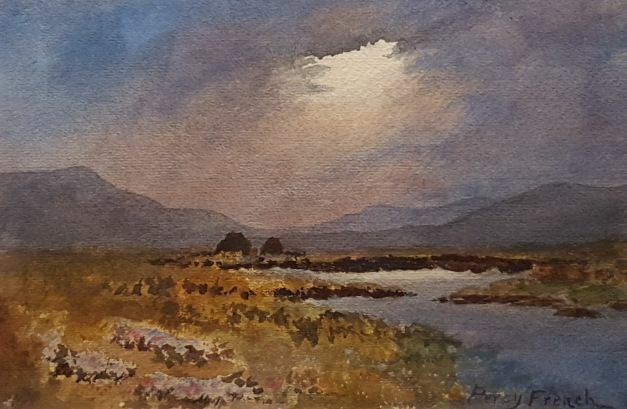 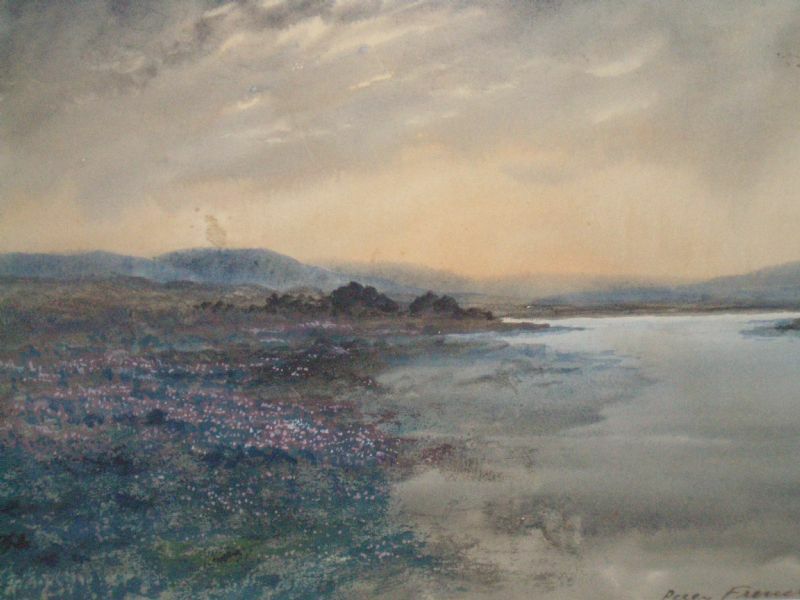 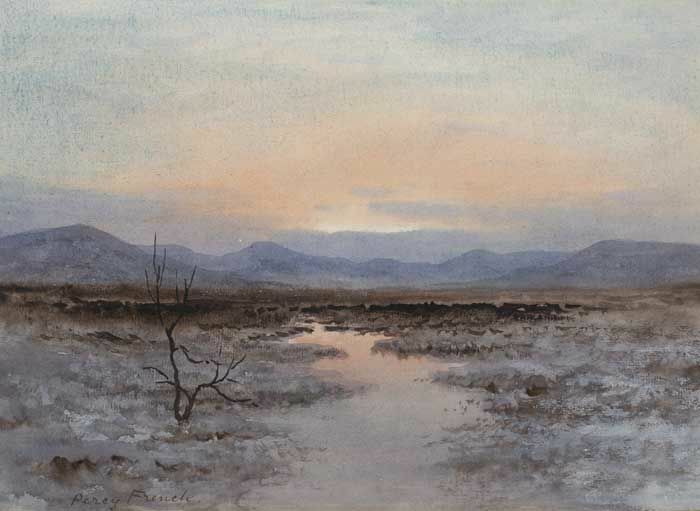 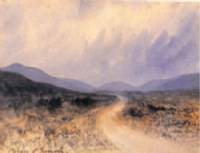 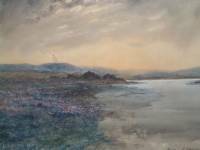 It was whilst in this midland county that he devoted himself to capturing the colours of the Irish skies and countryside. 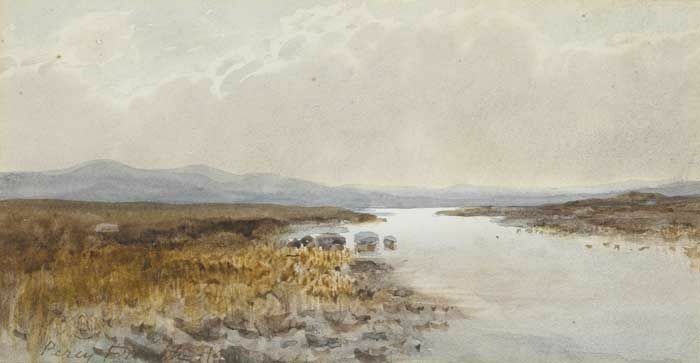 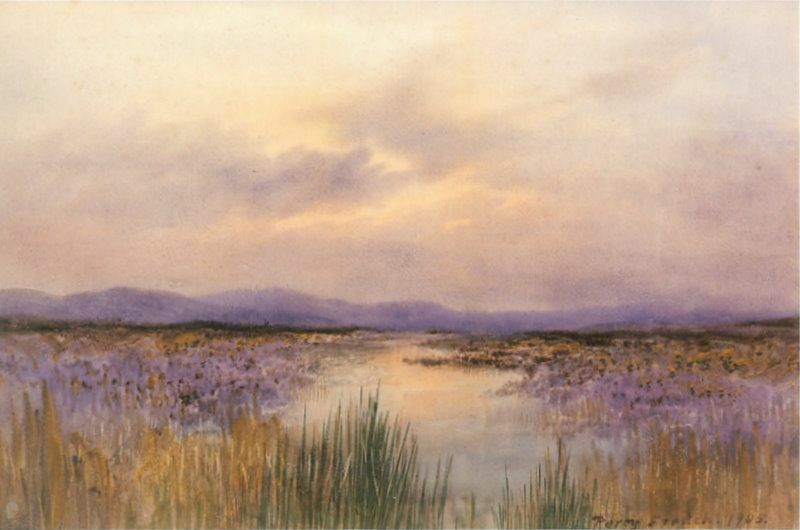 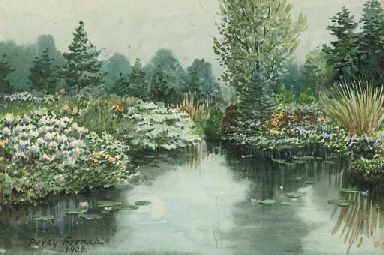 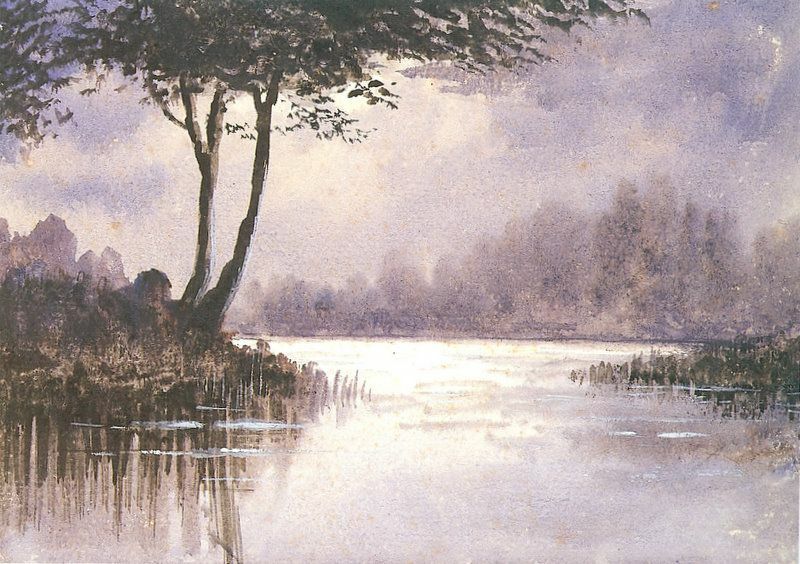 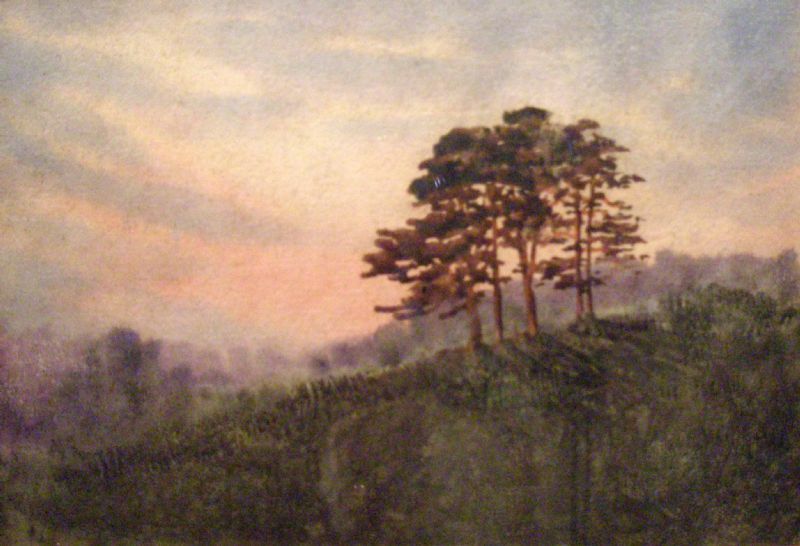 The size of his watercolours reflects the fact that they were mostly executed during his musical tours. 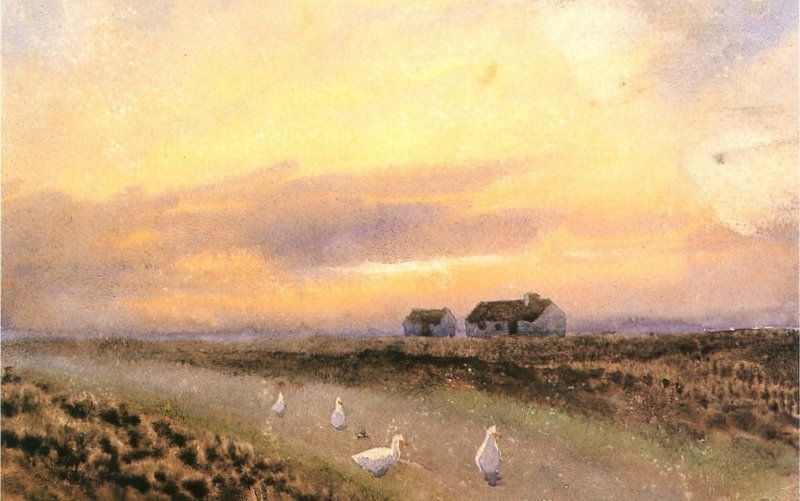 He would paint the skies en route to his next engagement filling in the foreground on arriving at his digs. 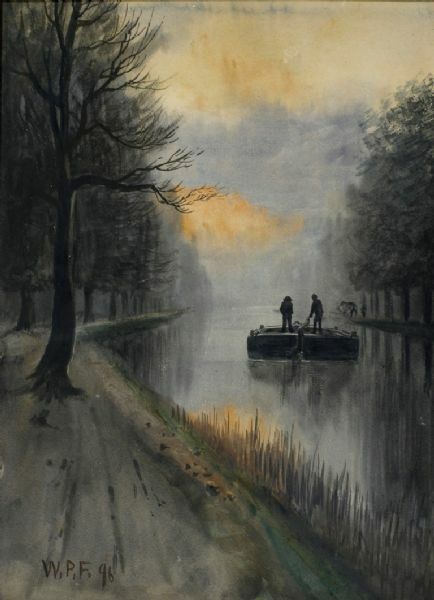 Almost invariably he would present the finished watercolour to his host. 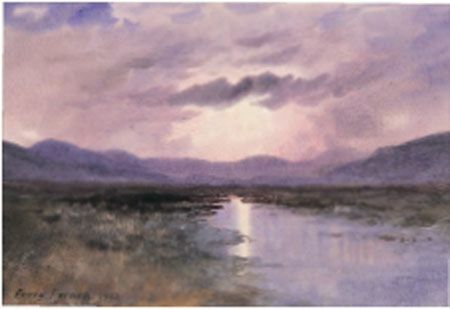 The fact that he travelled widely during the course of his musical career is reflected in his work; there are scenes painted in Switzerland, England, Canada, the USA and the West Indies. 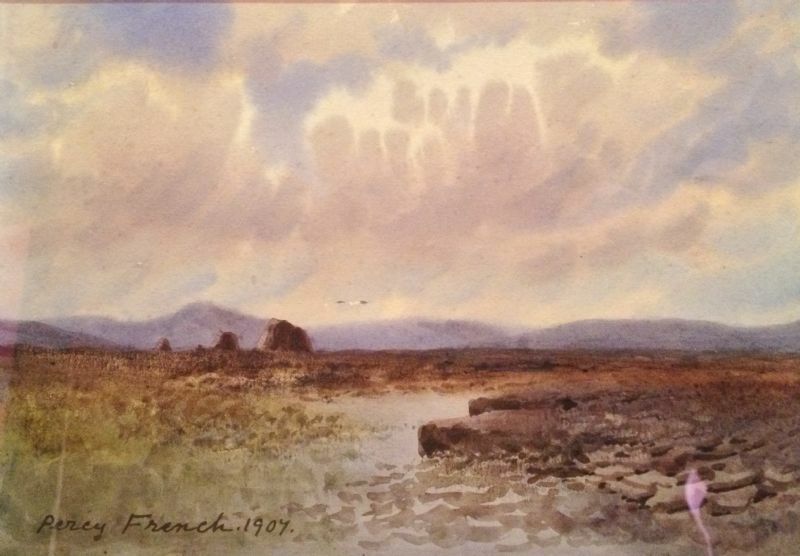 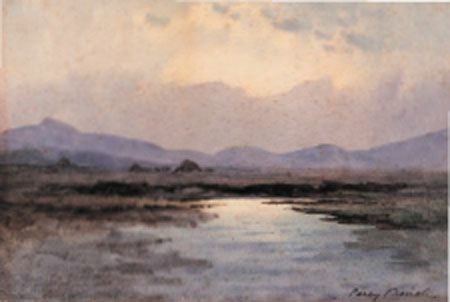 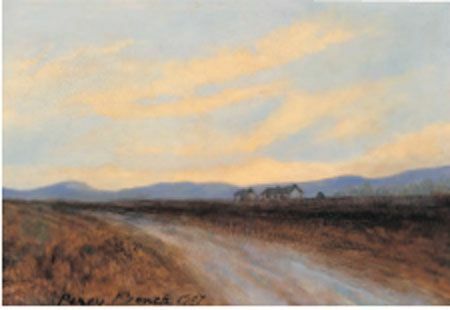 The effects of light breaking through clouds onto a landscape are ever-present in FrenchÍs work. 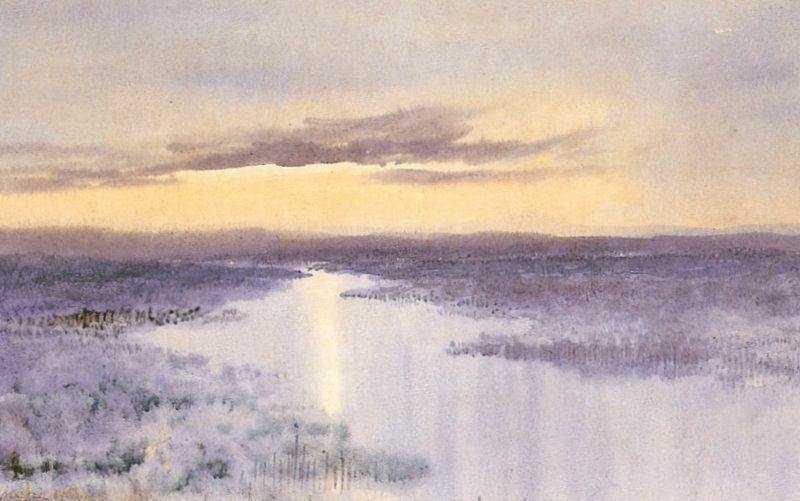 His sunsets, too, are key to his oeuvre. 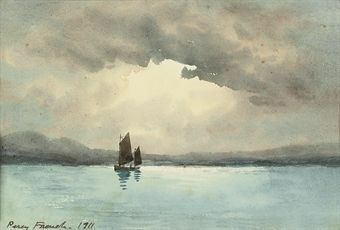 At the time that he was painting Krakatoa had recently erupted spewing into the earth's atmosphere a considerable amount of debris which served to colour subsequent sunsets in the northern hemisphere.